The Card Concept Challenge 71 - Fresh Flutters. 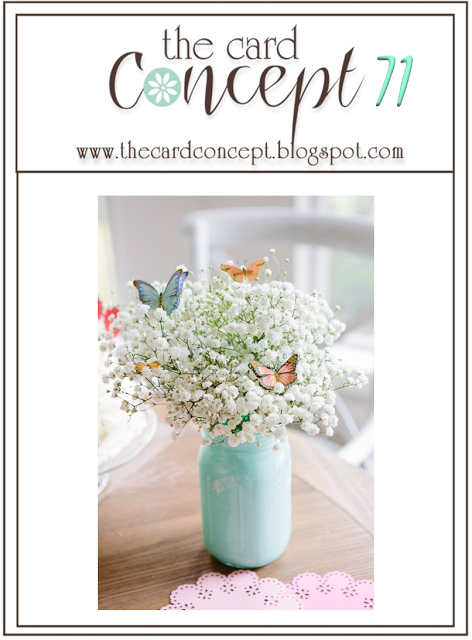 We have such a pretty image to inspire you in the current Card Concept Challenge. 'Fresh Flutters', even the challenge name is gorgeous. Can't wait to see the gallery :) Have fun! I white embossed the background with a lacey pattern, then washed over it with dilute green watercolour. I thought that would be enough, but the design wasn't strong enough, so I added the flowers. 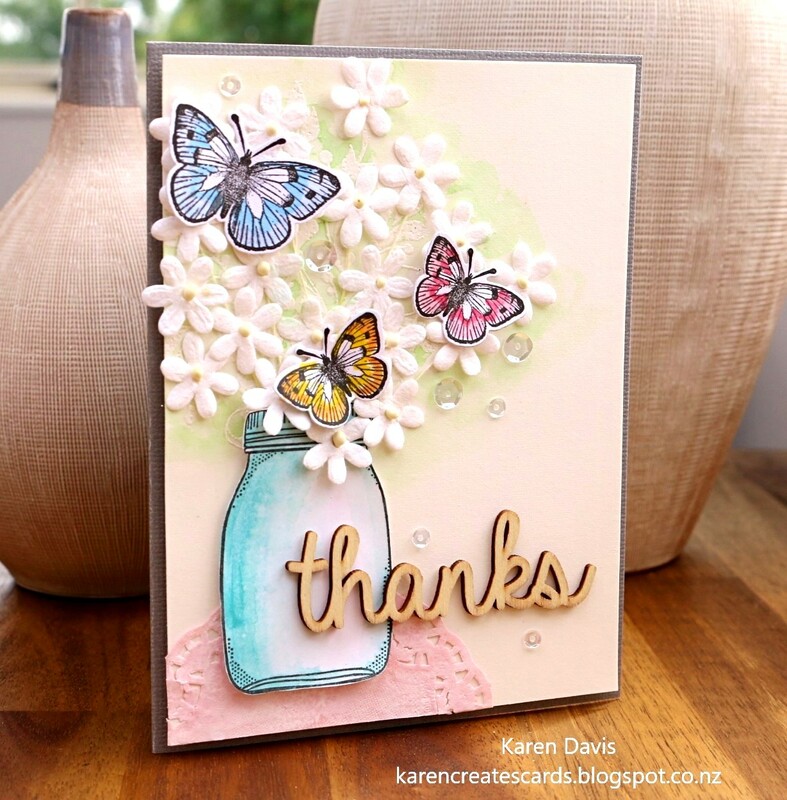 The butterflies are from an old, and much-loved, Hero Arts stamp set - Antique Flowers and Butterflies. I have used the smaller of the three butterflies in the set. I coloured a white doily with pink ink, then knocked the colour back a bit with white pigment ink. 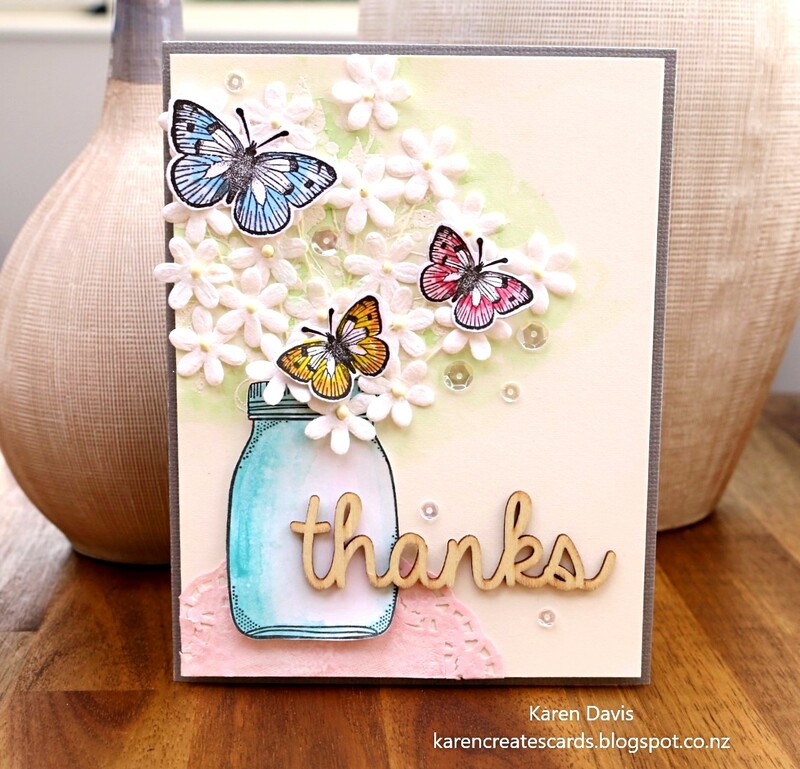 A sprinkle of sequins and the card was done. Please welcome our five new team members, Vicki, Kim, Nancy, Angel and Veronica.